**Includes digital download voucher redeemable from the label. 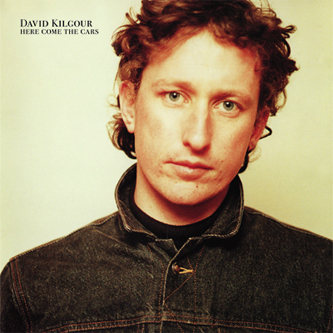 First vinyl pressing of a cult Indie-Pop classic by The Clean's David Kilgour** "A year after the Clean's reunion LP Vehicle (also their first proper album ever) put them back on the international- pop radar in 1990, guitarist David Kilgour retreated with his new Revox tape machine (which he'd been singing about rapturously in his side-project Stephen and elsewhere: "Have you seen my new tape machine?!") and cut his first solo album, Here Come the Cars, issued by Flying Nun in 1991. From the jarring cover image of David through to the last note, Here Come the Cars is a special pop album, even on a label that had no shortage of them. A sparkling gem cloaked in achingly atmospheric production (courtesy of Nick Roughan), Here Come the Cars has haunted us since its release -- it's just one of those albums that exists outside of time, the opening chords of the title track never fail to draw you out of the world you're in and into its own magical space. The album was remastered and rereleased on CD by Flying Nun in 2004, but has never before been on vinyl -- which De Stijl is happy to rectify here in 2012."